Mr. Burns and the Burns Dredging Company is responsible for joining the myriad of small islands in Sarasota Bay to form St. Armands and Lido Key. 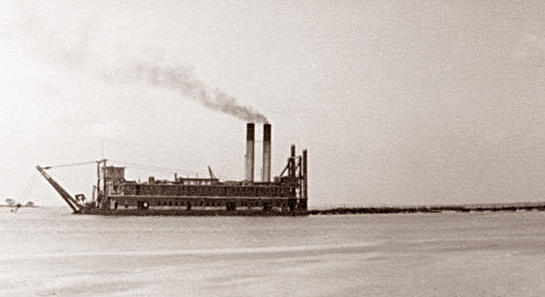 The dredge named the Sand Pecker was used to create Golden Gate Point and became the starting point of the first John Ringling Bridge which the Burns Construction Company built. Today one of Burns's dredges is sunken yet partially visible in the channel behind Otter Key. Owen Burns's Dredge the Sand Pecker.